Idea for adding a rustic appeal to your front yard or backyard? Why not to install a rustic garden fence! 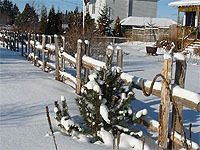 Set up a string line to establish the fence's path. For building materials you need: cedar rails, cedar posts, galvanized steel wire. 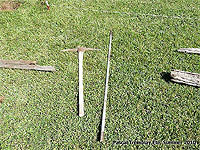 Tools: pick, metal bar and round shovel. 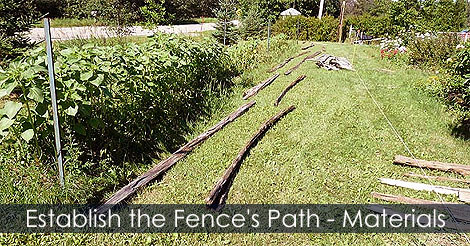 Learn how to establish the outiline of your split rail fence and what material you need for this project.